There’s nothing more transfiguring than prayer. People often ask, “Why do you insist on prayer so much?” The answer is very simple – because Jesus did. You could change the title of the Gospel according to St. Luke to the Gospel of Prayer. It’s the prayer life of Jesus. The other evangelists say that Jesus was in the Jordan and the Spirit descended on Him as a dove – Luke says it was while He was praying that the Spirit descended on Him. The other evangelists say that Jesus chose 12 disciples – Luke says it was after He spent a night in prayer that He chose 12 disciples. 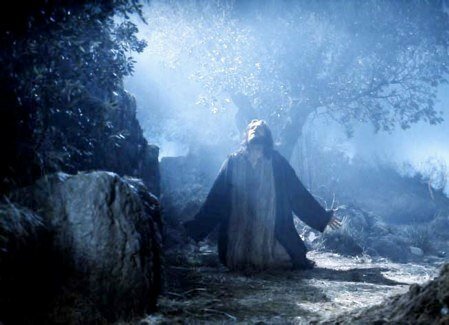 The other evangelists say that Jesus died on a cross – Luke says that even when He was dying Jesus was praying for those who persecuted Him. The other evangelists say Jesus went on a mount and He was transfigured – Luke says it was while He was praying that He was transfigured. There’s nothing more transfiguring than prayer. The Scriptures say that the disciples went to bed, but Jesus went to pray – as was His custom. It was His custom to pray. Now Jesus was the Son of God – He was definitely anointed for His ministry. If Jesus needed all that time in prayer, don’t you and I need time in prayer? If Jesus needed it in every crisis, don’t you and I need it in every crisis? God makes all His best people in loneliness. Do you know what the secret of praying is? Praying in secret. “But you, when you pray, go into your inner room, and when you have shut your door…” (Matt. 6:6). You can’t show off when the door’s shut and nobody’s there. You can’t display your gifts. You can impress others, but you can’t impress God. Now I say very often – and people don’t like it – that God doesn’t answer prayer. He answers desperate prayer! Your prayer life denotes how much you depend on your own ability, and how much you really believe in your heart when you sing, “Nothing in my hands I bring, simply to Thy cross I cling….” The more self- confidence you have, the less you pray. The less self-confidence you have, the more you have to pray. What does the Scripture say? It says that God takes the lowly, the things that are not. Paul says in I Corinthians 1:28 that God takes the things that are not to bring to nothing the things that are, so that no flesh should glory in His presence. We need a bunch of “are nots” today. Duncan Campbell told the story of hearing a farmer in his field who was praying. He was praying about Greece. Afterward, he asked him why he was praying. The man said, “I don’t know. I had a burden in the spirit and God said, ‘You pray; there’s someone in Greece that is in a bad situation.’ I prayed until I got a release.” Two or three years later the farmer was in a meeting listening to a missionary. The man described a time when he was working in Greece. He had been in serious trouble. The time? Two or three years ago. The men compared notes and discovered that it was the very same day that God had burdened a farmer, on a little island off the coast of Scotland, to pray for a man in Greece whose name he didn’t even know. You can’t approach God unless your hands are clean, which means your relationships with others are clean and your heart is clean. “Who may ascend into the hill of the Lord? He who has clean hands and a pure heart…” (Psalm 24.3-4). After the boy recited Psalm 24 he began to pray. He prayed 10, 15, 20 minutes. Then he suddenly said, “Excuse me, Lord, while I resist the devil.” He turned around and began to tell the devil where to go and how to get there. He fought for all he was worth. You talk about having on the armor of God and resisting the devil! When he finished resisting the devil, he finished his prayer. He prayed for 45 minutes! When he finished praying it was just as though God had pulled a little switch in heaven. The Spirit of God came down on that church, that community, on the dance hall at the other end of town, and the tavern on this end of town. Revival was born in that prayer! At the end of Malachi it says, “And the Lord, whom you seek, will suddenly (that’s the word I like, suddenly) come to his temple” (Malachi 3:1). Remember what it says about the shepherds? They were watching their flocks by night when suddenly there was the sound of the heavenly host. Do you remember a bunch of men that had been waiting in the upper room? Suddenly the Holy Spirit came on them in that room. There’s a date in history that I love very much. It was Wednesday, August 13, 1737. A little group of people in Moravia were waiting in a prayer meeting. At 11:00 suddenly the Holy Spirit came. Do you know what happened? The prayer meeting that began at 11:00 lasted 100 years! That’s right. That prayer room was not empty for a century! It’s the longest prayer among men and women that I know of. Even children six and seven years old travailed in prayer for countries the names of which they couldn’t even spell. In an old town in Ireland they’ll show you with reverence a place where four young men met night after night after night praying for revival. In Wales, there’s a place in the hills where three or four young men only 18 or 19 years old met and prayed night after night. They wouldn’t let God go; they would not take no for an answer. As far as humanly possible they prayed a revival into birth. If you’re thinking of revival at your church without any inconvenience, forget it. Revival costs a lot. We’ve said that prayer changes things. No! Prayer doesn’t change things. Prayer changes people and they change things. We all want Gabriel to do the job. God says do it yourself – with My sufficiency and My strength. This entry was posted in Bible Teachings, Inspirational Messages and tagged faith and prayer, Jesus prays, Leonard ravenhill gospel of prayer, power of prayer, prayer, Ravenhill. Bookmark the permalink.